The Scripps College campus is among the most distinguished in the Southern California region. 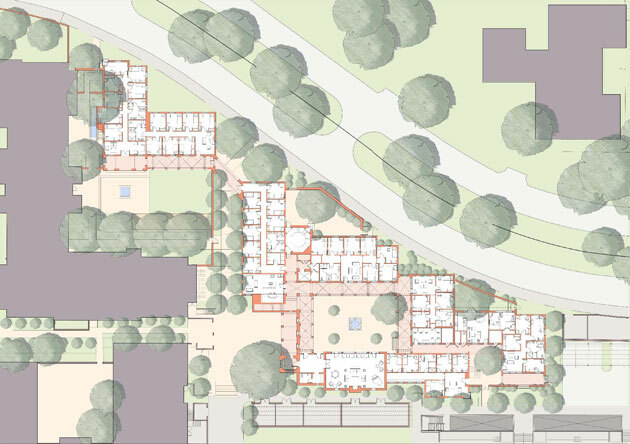 This 130-bed residence hall is located on a narrow site along the northern edge of the campus overlooking the college’s athletic field. The building is designed as a series of wings organized on a central courtyard opening towards the north with spectacular views of the San Gabriel Mountains. The wings accommodate single rooms, double rooms and suites, with common facilities and social spaces provided both at the building’s entrance and interspersed throughout. 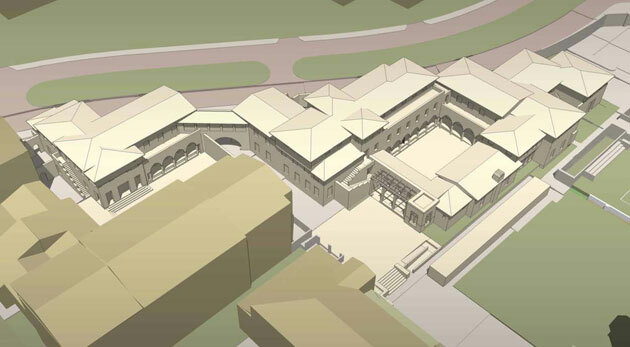 New Hall is designed in the foundation style of the campus, with a symmetrical façade overlooking the athletic field and an asymmetrical composition following the curve of the northern parkway.